Because wedding planning should be a celebration! We’re partnering with Mervis Diamond Importers and District Winery to treat engaged couples to an afternoon of wedding fun! If you purchased your engagement rings or wedding bands at Mervis, join us! Getting married at District Winery? You’re invited, too! Engaged couples can gather info and chat with the team of Participating Vendors who have made this event possible in a light-hearted environment – with a few drinks and some bites! Our group of talented vendors will style this event to look like a wedding, so couples will get tons of inspiration for their own wedding day! Hopefully, you’ll meet some awesome couples, too! This is not a wedding expo! And, there’s no hard-selling or stress here! Just inspiration and a great time! The Bridal Handbook | Find the perfect photographer for YOU! Want to be a Participating Vendor for one of our upcoming events? Click here! Adorable gifts and giveaways —because we’re happy you came! 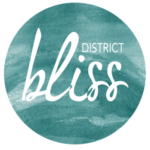 Want to know more about District Bliss? Watch this video!